Masada is one of the most visited sites in Israel, and with good reason. It would feature on anyone’s list of 10 must-see places in Israel. The scenery is amazing, the Dead Sea is very close by and the story of Masada is an extremely dramatic one. There are two entrances to Masada National Park: from the east and from the west. The roads don’t connect at Masada so just make sure you know which direction you are arriving from. The vast majority of visitors come from the east, from road 90 – the side of the Dead Sea and Jerusalem. If you intend to visit Ein Gedi and the Dead Sea after or before visiting Masada, come from the east. The other side, the side of the cities Arad and Beer Sheva, also has some interesting sites along the way, but it is a longer journey from there to the Judaean desert sites. 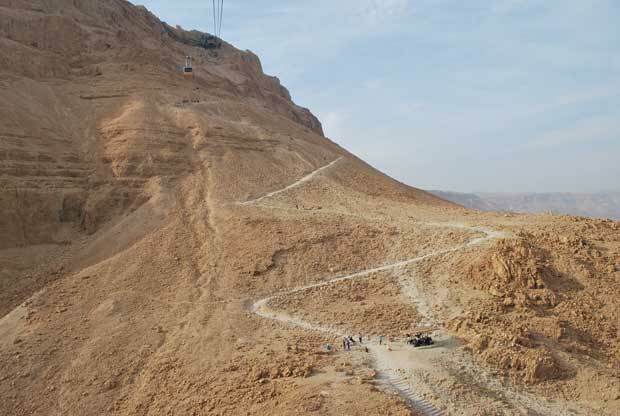 As I said, most tourists arrive from the east, which is where you have the visitor center, the Masada museum, the snake path that goes up to Masada, and the cable car. Masada – isolated mountain 450 meter higher than its surroundings. The snake path is the name of the path that climbs up to Masada from the east. It takes about 45 minutes to go up it and from the starting point you travel 350 meters to reach the top. Going down it again takes about 25 minutes. In summer, the path closes when the sun is at its hottest (they usually decide to close it when the army announces it’s too hot to do physical training outside). The path opens an hour before sunrise because many tourists like to see the sunrise from the top of it. Seeing the sun rise in the desert is something I can recommend, especially if you’ve never been to the desert, but in my opinion the experience is somewhat overrated. 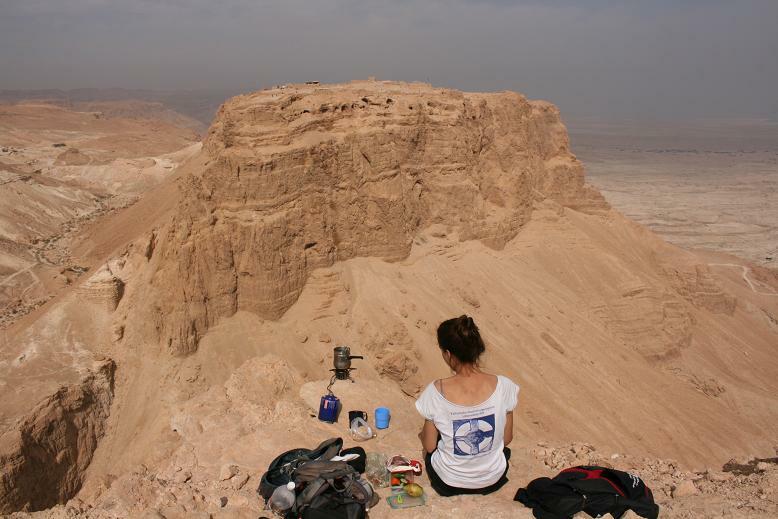 If you really want to see Masada from a different angle and if you are fit enough to do it, I recommend taking the trail around Masada. I have written about it in my Judaean Desert booklet and as far as I know you won’t find any other source of information about it. It is much more challenging and rewarding than the snake path (but can only be done between October and April; in summer it’s too hot to do it as there is no shade to be found on the way). 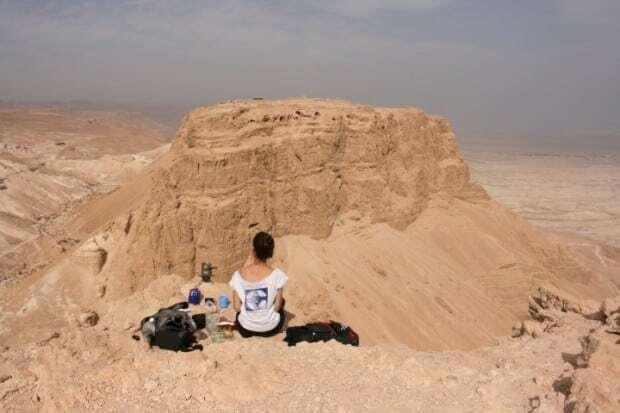 Most travelers spend around 3 to 4 hours in Masada; if you plan to hike the trail around Masada then you’ll need to factor in another two hours. Like what you’re reading? Great! This post is part of my Judaean booklet. If you like what you’re reading and are planning to travel to Israel, or if you just want to support me, you can download my eBooks from Amazon, Kobo, Barnes & Noble and Apple iBook. Or order all three booklets from Amazon. 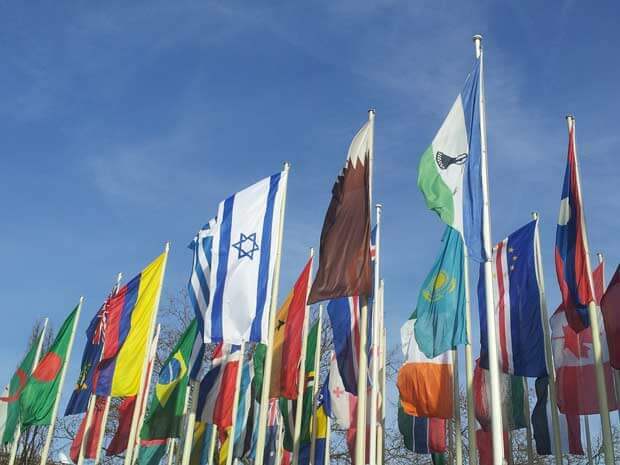 In Jerusalem you can talk about anything – politics, religion or history, from Abraham right through to Obama. In Masada, things are much simpler – here there are only two main stories: the story of Herod and the story of the rebels. 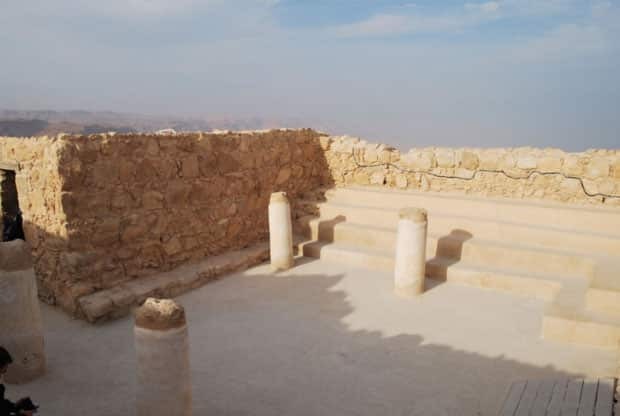 The story of the people who lived in Masada is connected to one of the most turbulent periods in the history of the Land of Israel – a period that began with the Roman conquest of Israel in the year 63 BCE. The Roman conquest of Judaea in 63 BCE was the starting point of the historical drama. 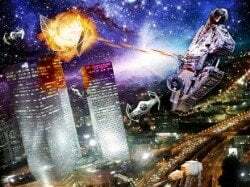 Their conquest was not a sudden acquisition but rather a gradual process that lasted more than a hundred years, during which the Jews slowly lost their independence, Christianity was born, the Jews rebelled and the Temple was destroyed. One of the most significant steps the Romans took to hasten along this process was the appointment of Herod as King of Judaea (Jerusalem and the area around it). There is a negative impression of Herod in Christianity because, according to the New Testament, he ordered the murder of the infants at Bethlehem. Judaism has a more ambivalent view of Herod because, on the one hand, he rebuilt the Temple into a much larger version of what had existed before, yet he also demanded heavy taxes and the Jews did not accept him as their legitimate ruler. The only people who truly love Herod are Israeli tour guides. Although he ruled for just 34 years two thousand years ago, he has provided us with more work than any other ruler. 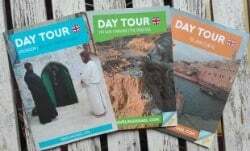 A traveler who is in Israel for a week visits at least three sites that Herod is responsible for – Masada, the Temple Mount in Jerusalem’s Old City and Caesarea. Not for nothing is his nickname “the Builder King”. The long room through which you see is one of the 29 storerooms in Masada. Herod stayed at Masada for only a couple of weeks of the year. 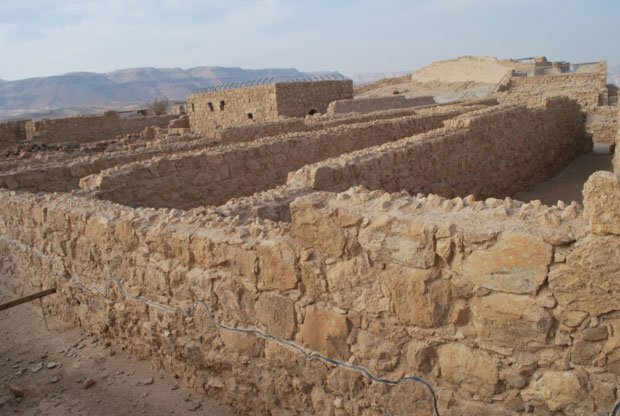 Why did he need so many storerooms when he stayed in Masada for such a short time? Herod saw Masada not only as a winter palace, but as a fortress as well. How do you say “fortress” in Hebrew? Masada. In the year 37 BCE, the Romans appointed Herod as King of Judaea and ten years later he built the palace on Masada. Herod died in the year 4 BCE. After him began the rule of his sons, who completely lacked their father’s political astuteness and the Romans quickly decided to replace them with Roman Prefects (rulers). The relations between the Roman rulers and the Jewish population quickly declined over the years and in the year 67 CE some of the Jews decided to rebel. The Sicarii took possession of Masada after ousting the small Roman troop that was there and went on to fortify the area. The Roman legions that arrived from Lebanon went from city to city crushing the rebellion. In the year 70 CE, the Romans conquered Jerusalem and destroyed the Temple. In the winter of 73-74 CE, the Romans reached Masada as well and overpowered the last remaining line of opposition. The Synagogue of the rebels in Masada. One of the oldest synagogues in the world.